LAS VEGAS – January 7, 2014 – Fremont Street Experience, the Las Vegas Convention and Visitors Authority (LVCVA) and Golden Catalyst invite the public to celebrate the Year of the Horse during the third annual Chinese New Year in the Desert festival. Ring in the Chinese New Year with a three-day festival taking place in Downtown Las Vegas Feb. 7 – 9, 2014. Chinese New Year is the most important of the traditional Chinese holidays and is known as “Spring Festival” in China, “Tet New Year” in Vietnamese and “Seol-lal” in Korea. Las Vegas Mayor Carolyn G. Goodman will kick-off the festivities during the opening ceremonies which will feature The Desert Winds, a premiere contemporary wind ensemble of more than fifty professional woodwind, brass, and percussionists and a live authentic dragon dance by the Las Vegas Lohan School of Shaolin. Throughout the weekend guests will also experience live International Cultural Performances; taste authentic dishes from around the world in the International Vendor Village; enjoy live concerts by Victoria Zhong Wei, Henry Chuc, Kevin Khoa, Gloria Papin, and the Society of Seven during the DragonFest concert series; join Dr. Teddy Sim, Jaqueline Andrea, and the Las Vegas Zumba® Crew as they attempt to make history by breaking the Guinness World Record for the Largest Zumba® Class; view stunning parade floats in the McDonald’s Las Vegas Spring Festival Parade; and along with students from Clark County School District, guests are also invited to create their own lantern to display on Fremont Street Experience to commemorate the Lunar Lantern Festival. Las Vegas Mayor Carolyn G. Goodman will help kick-off the New Year by participating in the Opening Ceremonies and ribbon cutting on Friday, Feb. 7 at 6:30 p.m. on the 3rd Street Stage (next to the D, Four Queens and Fremont). The New Year will be greeted with a performance from wind ensemble The Desert Winds and a live authentic dragon dance by Las Vegas Lohan School of Shaolin complete with virtual firecrackers on Viva Vision (the largest video screen in the world measuring 1,500 feet long and suspended 90 feet above the street), an eye painting ceremony and performers dressed in elaborate costumes. Throughout the three-day festival, guests will be taken on a journey around the world as they experience performances from various Asian entertainers on the 3rd Street Stage and visit the International Vendor Village, located on 3rd Street North between Fremont Street and Stewart Avenue, to taste the international flavors from renown food vendors. The International Vendor Village and Cultural Performances will take place on Friday, Feb. 7 from 5-10 p.m. and Saturday, Feb. 8 from noon-10 p.m., and Sunday, Feb. 9 from noon-9 p.m. Known for providing free nightly entertainment, Fremont Street Experience’s 3rd Street Stage will host a three-day DragonFest concert series featuring free performances with artists from China, Vietnam, Thailand, and the Philippines. Additionally, V.I.P. seating is available for $10 per day or $25 for all three days. To commemorate the Lunar Lantern Festival, which officially ends the Chinese New Year celebrations, primary grade students of Clark County School District will be constructing paper lanterns marked with their “wish” for 2014. The lanterns will then be on display throughout Fremont Street Experience during the Chinese New Year in the Desert festival. Additionally, guests and passersby are invited to stop in at a booth located near the 3rd Street Stage to build their own lantern to display on Fremont Street Experience. The Lunar Lantern Festival is sponsored by St. Jude’s Women’s Auxiliary Group. On Saturday, Feb. 8 thousands of Zumba® participants from all over the valley will attempt to break the Guinness World Record for the Largest Zumba® Class. On-site registration begins at 11 a.m. by the 3rd Street Stage with the Zumbathon taking place from 1-3 p.m.
On-line pre-registration is highly encouraged and can be completed by logging on to https://cnyinthedesert.com/events/zumba-world-record/. Packet pick-up will start on Thursday, Feb. 6, 5 p.m. at the Downtown Grand Hotel & Casino. On Sunday, Feb. 9 local businesses, organizations, bands, drill teams, and dance groups will come together to celebrate the Chinese Lunar New Year during the McDonald’s Las Vegas Spring Festival Parade. Parade participants will showcase their talent and creativity with the most extravagant floats in vibrant colors to commemorate the rich history of the most important holiday of the Asian community. Cox Communications will be broadcasting the Parade. Starting at 11 a.m. at the intersection of Gass Avenue and 4th Street, the McDonald’s Las Vegas Spring Festival Parade will travel up 4th Street through Fremont Street Experience and end at the intersection of 4th Street and Ogden Avenue. For a detailed entertainment schedule go to www.cnyinthedesert.com. All entertainment (with exception of V.I.P. seating) is free and open to the public. Fremont Street Experience, a five-block entertainment district located in historic downtown Las Vegas features Viva Vision, the world’s largest video screen – 1,500 feet long, 90 feet wide and suspended 90 feet above the urban pedestrian mall. Viva Vision features nightly spectacular light and sounds shows with 12.5 million LED lights and a 550,000-watt sound system. Fremont Street Experience is a one-of-a-kind venue that includes free nightly concerts and entertainment on three stages. With direct pedestrian access to 8 casinos, more than 60 restaurants and specialty retail kiosks, Fremont Street Experience attracts over 17 million annual visitors. 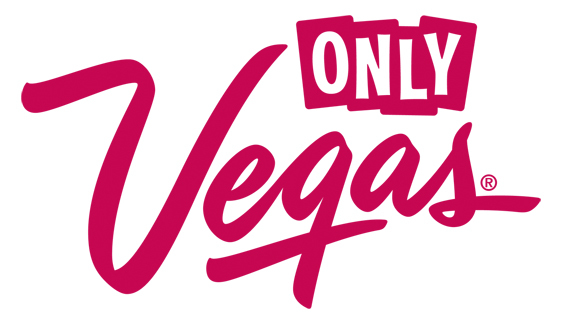 Visit online at www.vegasexperience.com, Facebook: http://www.facebook.com/FSE89101 or Twitter: https://twitter.com/FSELV.